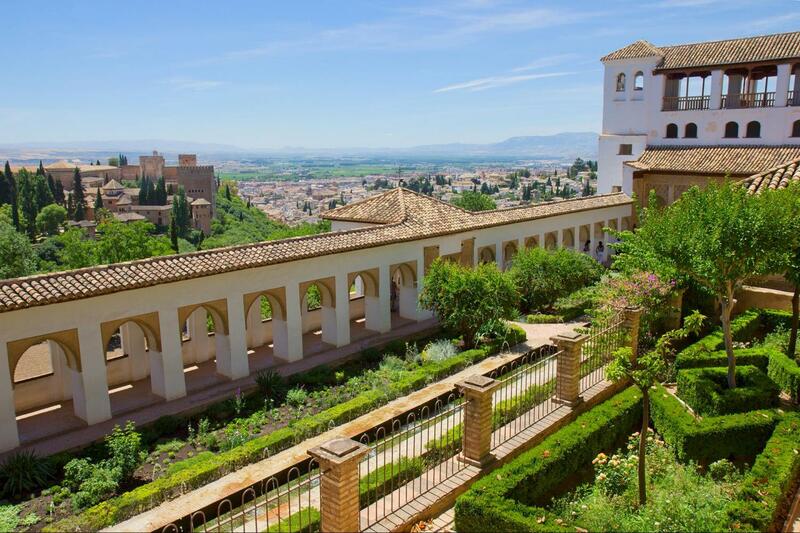 The Alhambra, Generalife and Palacio de Carlos V are located in the Albayzin neighbourhood which is characteristic by its labyrinthine streets perfumed of jasmine. 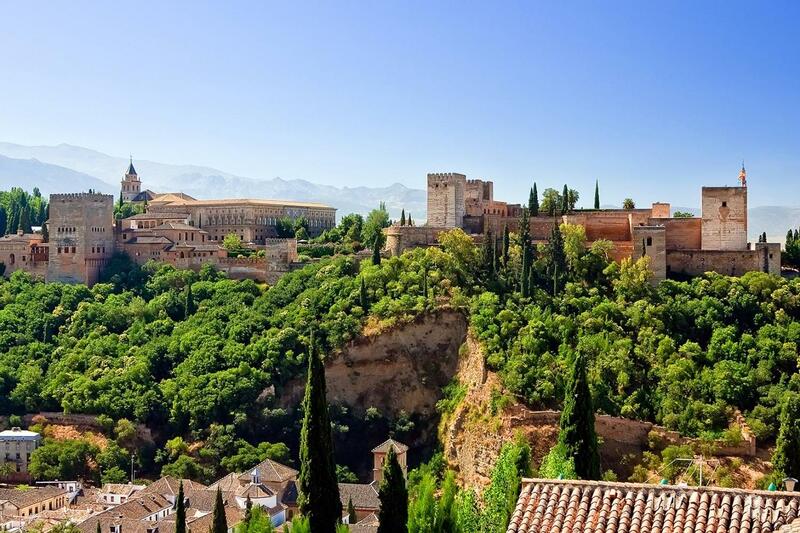 The most well-known postcard of Granada is the Alhambra. This palatial city was built by the monarchs of the Nasrid dynasty and is characterized by its reddish colour. The Mirador de San Nicolás is the perfect place to admire a magnificent sunset over Granada. Sacromonte stands out for its all white caves buildings. 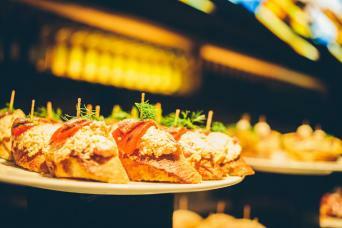 This neighbourhood is also known for being the cradle of flamenco. Albayzin & Sacromonte guided walking tour. Albayzin & Sacromonte Walking Tour is bilingual in English & Spanish. 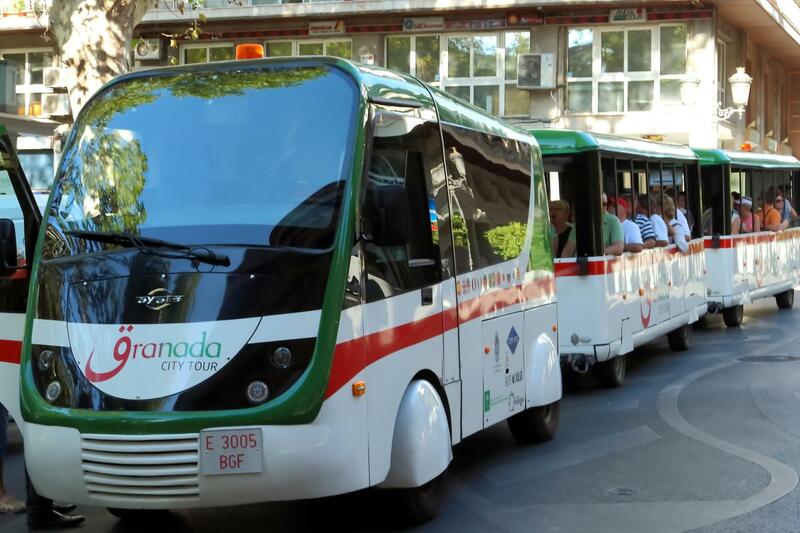 Granada City Tour Hop On-Hop Off Train: Single audio guide in 12 languages: Spanish, English, French, German, Italian, Portuguese, Chinese, Japanese, Korean, Russian, Arabic and Catalonian. 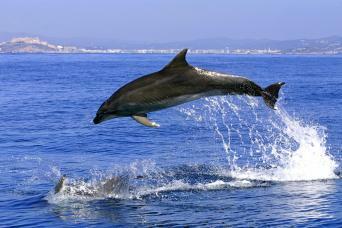 Two special channels for children in Spanish and English. 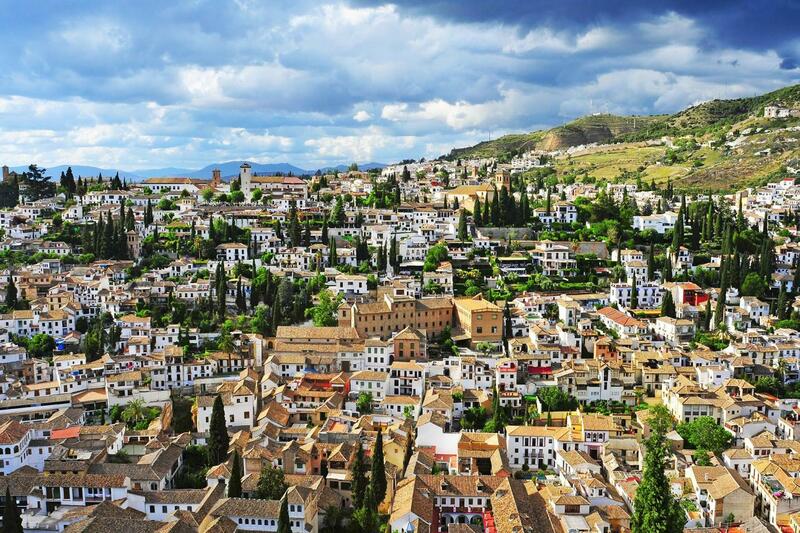 Albayzin & Sacromonte Walking Tour and Granada City Tour Train must be done at the same day. 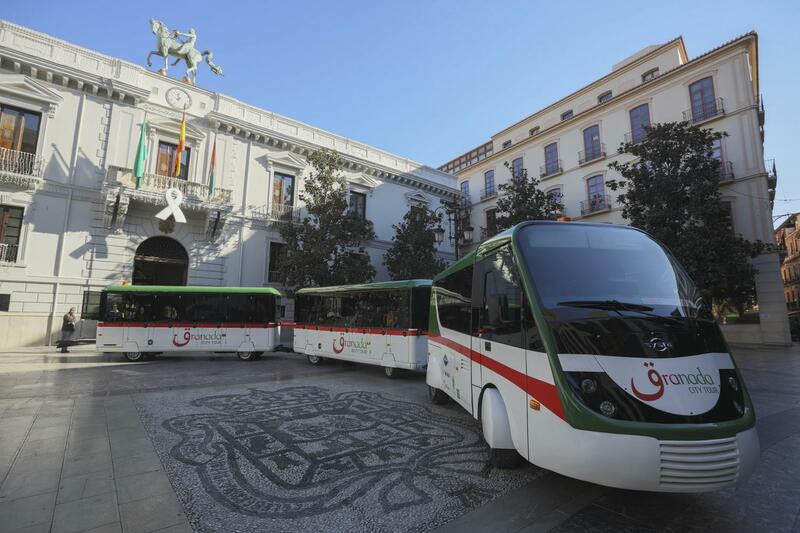 You can begin your hop-on hop-off tour at any of the Granada City Tour stops by showing your voucher when getting on board. Albayzin & Sacromonte Walking Tour: We will go up by official tourist train to the hearth of the Albayzín to start from there a nice guided walking tour. A walk through the Albayzín means to travel through its Moorish roots, wandering through a labyrinth of narrow streets perfumed o jasmine. The Sacromonte quarter is the place where the gypsies, who came with the Catholic Monarchs after the reconquest of Granada established. We will visit one of its typical and famous house-caves. 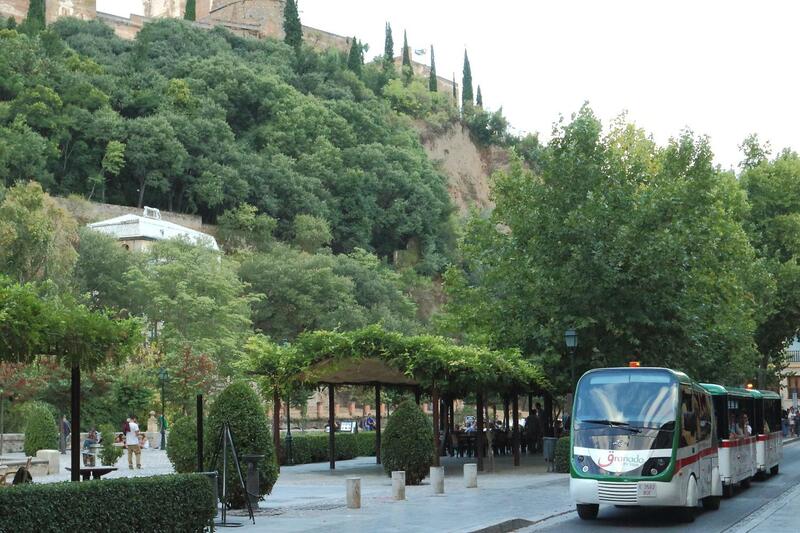 Granada City Tour Train: You will also have all the day to discover Granada on your own path with the hop-on hop-off Granada City Tour Train. The train features a panoramic roof, open deck in summer, and on board audio guides in 12 languages (with two special kid’s channels in Spanish and English). City Centre Route (Red Line) Daily: Nov to Feb every 60 minutes / Mar to Oct and Holidays every 30 minutes.